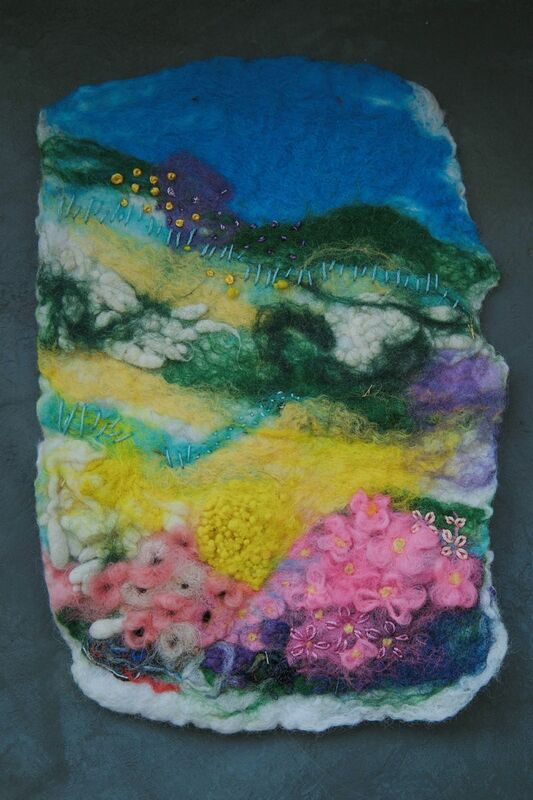 A two week course combining wet felting, needlefelting and embroidery where you will create a beautiful felted landscape. Week One: will involve laying out and wet felting the base of your design. Week Two: you will add texture and detailed with needlefelted and embroidered embellishments.